It may sound like we’re bragging, but we are some of the best photographers in Gatlinburg. Having photographed hundreds and hundreds of weddings, we have over 700 reviews on the professional photography website, Pictage. We invite you to look through our reviews by going the the Photographer Reviews link on Pictage. 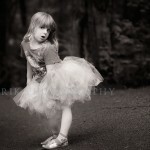 The bottom line is that we love what we do here at RIK Photography. We have fun with our clients. We try and find new and unique poses and locations whenever possible, and just happen to be in one of the most beautiful places in the world; about 20 miles from the borders of the Great Smoky Mountains National Park. There are so many wonderful places for photographs in that park and also in the surrounding areas; Pigeon Forge, Knoxville, Sevierville, Maryville, Asheville… it’s a long list. If you’re open for an adventure lets book a photo session on a hiking trail! We love to hike and there are so many scenic spots that most people never see. Rivers, waterfalls, cascades, mountain tops, scenic vistas and more. Some of the original houses where people lived here back in the 1800s – 1940s are still there and available to walk through and pose for photos. Look at the National Park link above to get some ideas. For urban sessions we typically go to Knoxville where there are plenty of parks, unique looking shops, fountains, streets and alleys to hide away and get some fun shots. Market Square is a particular favorite of ours. Great restaurants, fountains, statues and often live entertainment gives us excellent atmosphere for engagement or couple’s sessions. Senior sessions are great fun. You can visit the Smoky Mountains for a vacation and while you’re here have your high school senior photos made in places that will be completely unique and different from everyone elses photos. Give us a call at 865.908.0321 to discuss a custom session and let’s talk about your ideas.